Warwick Business School, University of Warwick, United Kingdom. International & European, Economic & Political Studies, University of Macedonia, Greece. 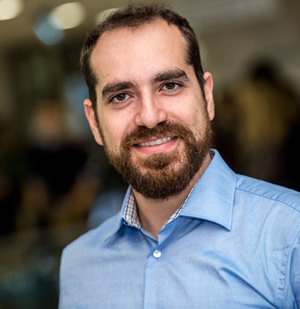 Andreas Alexiou has studied International and European Economics and Politics at the University of Macedonia, Thessaloniki, Greece where he obtained a bachelor’s and a master’s degree. He then continued his studies at the Warwick Business School, University of Warwick, UK, where he graduated with a master’s degree in Information Systems and Management in 2008, before continuing as a PhD Candidate at the Rotterdam School of Management, Erasmus University. He joined the Strategy and Entrepreneurship department of RSM in 2010 as a Marie Curie early stage researcher and part of the MANETEI (Management of Emerging Technologies for Economic Impact) project. He obtained his PhD in 2016 and lectured at the University of Amsterdam before joining the Business Administration & Economics Department of Sheffield University, City College. His primary research interest lies in the area of strategic technology management with a focus on knowledge related dynamic capabilities. His second research interest focuses on the use of technology in management education and particularly on the role of emotional design choices in facilitating learning and training. Alexiou, A., Khanagha, S., & Schippers, M.C., (2018) Productive Organizational Energy mediates the impact of organizational structure on Absorptive Capacity, Long Range Planning. Alexiou A., Schippers, M.C., (in press) Digital Game Elements, User Experience and Learning, Education & Information Technologies. Alexiou, A., Small World: A Window to Strategic Management (accepted for publication) in Learning, Education, & Games (Vol. 3), Schrier, K. (Ed. ), ETC Press/Carnegie Mellon. Alexiou, A. (2015) Taming the waves of adversity: Exploring the multidimensional construct of organizational resilience in Managing Emerging Technologies for Socio-Economic Impact. Assimakopoulos, D., Oshri, I., Pandza, K. (Eds. ), Edward Elgar. Alexiou A. (2015) A Social Strategy: How We Profit from Social Media (Book Review), Journal of Organizational Change Management, Vol. 28 (1), pp.159 - 160. Alexiou, A., Schippers, M.C. & Oshri, I. (2012) Positive psychology and training applications: the role of emotions and psychological flow in serious games development. Psychology 3, 1243-1247. Alexiou, A., Doerga, A. (2015), Sprites and stories: The impact of hedonic game elements on perceived learning outcomes. Academy of Management annual meeting, Vancouver, Canada. Alexiou, A., Khanagha S. (2014), Organizational energy as the mediator between organizational structure and absorptive capacity. Academy of Management annual meeting, Philadelphia, US. Alexiou, A. (2013) Taming the waves of adversity: Exploring the multidimensional construct of organizational resilience, 29th EGOS (European Group of Organization Studies) Colloquium, Montreal, Canada. Alexiou, A., Schippers, M. C. & Oshri, I. (2013), Exploring the learning potential of serious games: The role of game features and individual differences in user engagement and learning, Academy of Management annual meeting, Florida, US. Alexiou, A., Oshri, I. (2011) paper presented at the European Academy of Management Annual Conference, (Management of Emerging Technologies for Economic Impact special track), Tallinn, Estonia. Lubbers M., Alexiou A., Internal systemic change and the digital transformation of Banks: A multiple case study of Blockchain technology adoption. Oshri I., Alexiou A., Khanagha S. Vendor-Buyer knowledge asymmetry as an antecedent of Robotic Process Automation adoption success: The mediating role of trust. Khanagha S., Alexiou A. Legitimacy challenges across the life cycle stages of Internet of Things healthcare ventures: A mixed methods study. Alexiou A., Schippers, M.C., Team positive affective tone mediates the effect of shared leadership on team learning and performance.